This module will allow you to save the EAN 13 but also 8, 15, 18 which, by default, are not accepted by prestashop. 2 on pages categories (prestashop 1.6). The dimensions of the barcodes are configurable, this allows you to display bar codes more or less large in width and/or height. 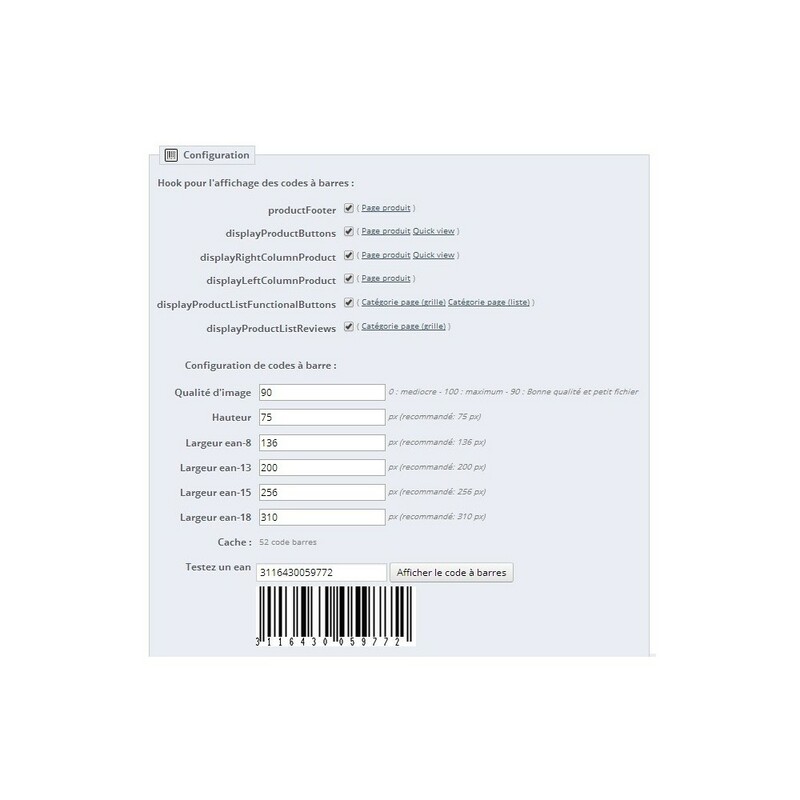 This module will allow you to save time, in particular during the preparation of the commands through the display of codes on invoices for each product/combinations with a barcode reader. 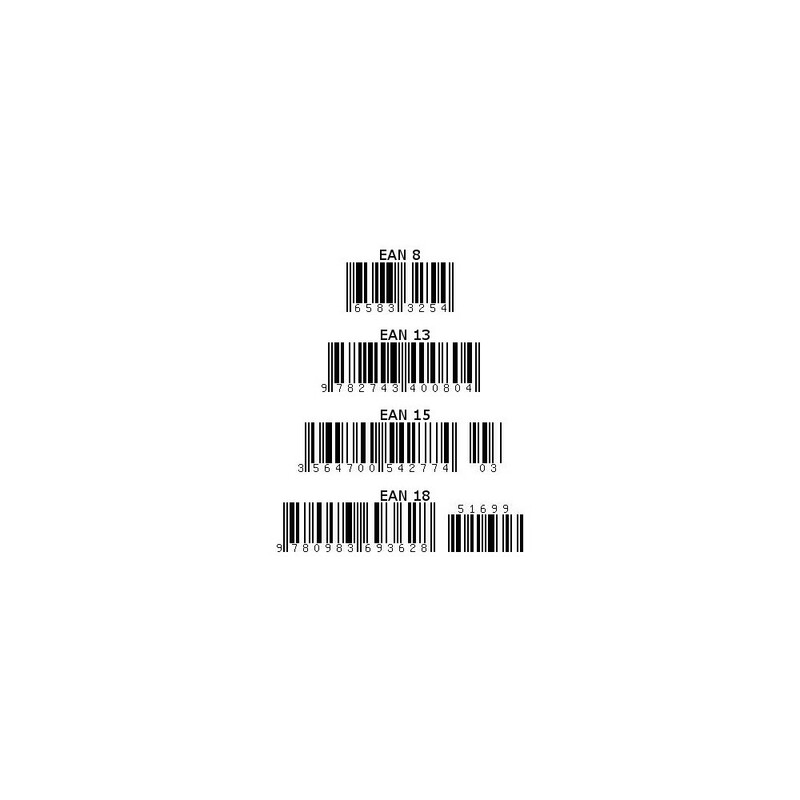 If you saved an EAN for the product and one for a combination of the same product the barcode of the EAN of the combination will be displayed. This module is also usable in CRON job if you change your EAN codes. 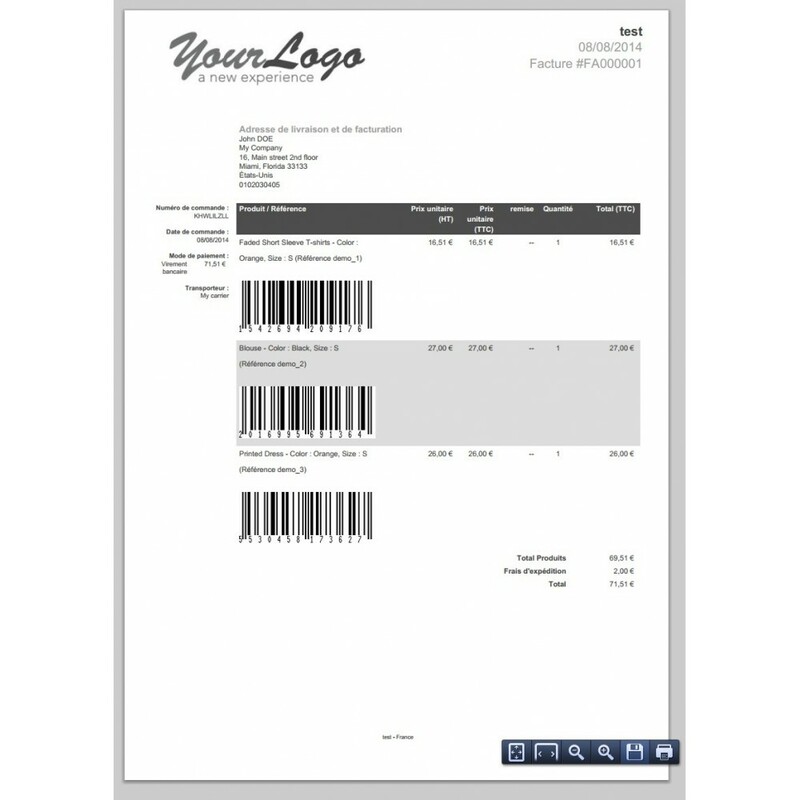 To display the barcode EAN-8, EAN-13, EAN-15, EAN-18 on your store and your invoices, so as to avoid some errors during order picking and allows you also to save time if you have a barcode reader. If you decide to display the barcode, your customers (including professionals) will be able to check their orders more easily and more quickly if it has a barcode reader.